6 Exercise Alternatives To The Barbell Front Squat (Trainer Paige) – If you’re working up to a front squat, or want to try something new, these are great exercises. Track Ladder Workout (Sweet Potato Bites) – Gotta love a good track workout…if it’s too cold, take it instead to the treadmill. Legs Catching Fire – A Hunger Games Workout (Blonde Ponytail) – Always love Jess’s workouts! Holiday Kettlebell Circuit (Strength And Sunshine) – I need to do more kettlebell stuff at the gym. This looks like another great workout. Holiday Superset Strength Workout (Live Half Full) – I love superset workouts. Definitely take this to the gym if you are lifting or looking to do more strength training workouts with an emphasis on lifting weights, not cardio or HIIT. Do you use kettlebells in your workouts? What’s your favorite exercise to do with them? I honestly didn’t see anything wrong with this, but there was so much backlash on this picture. People thought she was body shaming moms who don’t look like her. Though she explained that she meant to say, many moms think they don’t have the time, but in fact you do. I believe she does work full-time as well. There was also the backlash to this woman who was doing Crossfit while pregnant. “This is not a selfie. This is an act of war,” writes one Australian blogger in response to the image — just one of many blogs, news outlets, body image experts, and social-media commenters around the world to weigh in on the matter in the past few days, putting the photo at the center of a major online body image controversy. I can see both sides here. Yes, there is pressure on women to get back their “pre-baby” shape after birth (from what I can tell, I obviously have not had a child yet). And I don’t agree with that. Your body has gone through some trauma, you’re adjusting to having a child, possibly breastfeeding-working out right after giving birth may not and probably should not be a priority. I don’t think that this woman posting a picture of her post-baby body is body shaming or necessarily a bad thing. Sure, some may see it as a provocative picture, but if you scroll through fitness related hashtags on Instagram, a lot of pictures are like that, if not more provocative. We shouldn’t shame people who are fit or bounce back quickly from pregnancy. Nor should we shame people who are overweight, or gained weight during pregnancy. Every one is different. Every body and how it reacts to pregnancy is different. I am so scared of what will happen to my body when I decide to have a child, but either way I’d like to not be judged! The way I see it is, we post “selfies” all the time of accomplishments, whether it’s losing weight, achieving a PR, lifting a certain weight…why is it so wrong to post a picture of your body a few days or months after having a baby? A lot of hard work went into that body PRE-pregnancy which is why I think moms have been posting things like this. The article talks about cultural expectations. But I don’t think these women are the ones who are setting these cultural expectations. I think it’s the media. What was the first thing that was talked about when Kate Middleton left the hospital after giving birth? How you could see her belly bump under her dress. Who cares?! I feel like I’m just rambling now. Basically, I can see both sides, but I don’t think that hate comments are necessary to either of these ladies. Like I said, every one is different. Oh, and if you want great tips and motivation from someone who was healthy and active while pregnant, and after, check out Jess at Blonde Ponytail! She’s amazing! What are your thoughts on all of the articles I mentioned? Do you think moms posting pics like this pressure other moms to get fit fast? I’d love to hear your commentary! I made this meal last week, and actually made it last night too. It’s soooo good, and was a hit with my family. I always look for different ways to get in my veggies, and this did not disappoint. Here’s the recipe I used from Bon Appetit. My modification and comments are in bold. Seriously SO GOOD. As I mentioned above, I didn’t use the requested amount of cheese or breadcrumbs but it was still delicious. Or you can use the amount needed (which I actually accidentally did last night)…no big deal. I also made a balsamic vinaigrette dressing to drizzle over the romaine. The first time we had it, we also used a croutons. I also love that this recipe is quick and easy. Takes about 10 minutes to prepare, and 10-15 minutes to bake. I’m all about the quick dinners, but that are still healthy. Let me know if you decide to try this out! I highly recommend it. 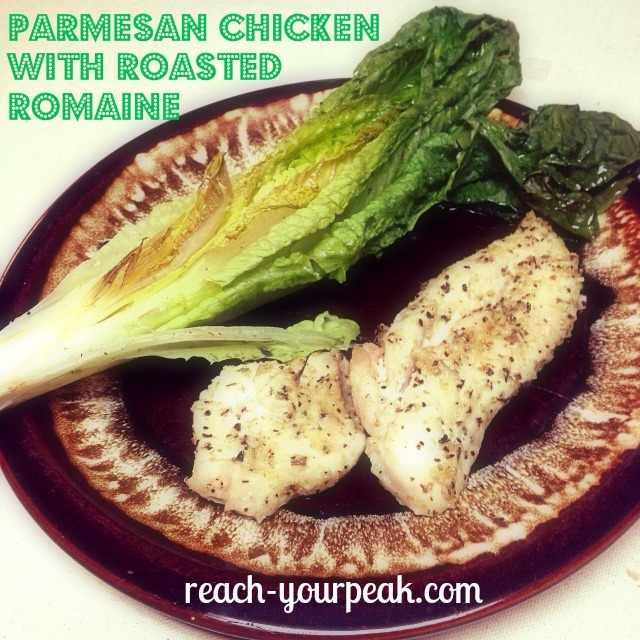 Do you have a quick and healthy dinner recipe? Please share in the comments! I really can’t believe in less than a month it will be 2014. 2013 was a good year for me…plus, 13 is my lucky number. I’m not really a fan of even numbers like 14. Do you have years you “like” and “don’t like” or am I just a weirdo? Since it’s the end of the year, I wanted to make a list of things I want to accomplish before the new year. 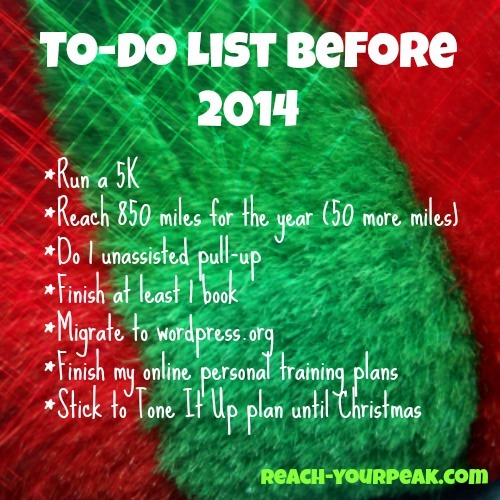 It will feel great going into 2014 knowing I finished my list (or at least got close). I’m not sure if I will accomplish some of these things (unassisted pull-up) but that doesn’t mean I can’t try! Let’s use December to kick it into high gear and lead up to the new year in a positive way! Why wait until 2014 to make New Year’s Resolutions? If you haven’t thought of any goals, this is your chance. Think of a few and post them to your blog, then send me the link! We can all support each other in finishing off 2013 with a bang. I can’t wait to see your to-do list! What do you know for a fact will be one of your New Year’s Resolutions? Do you usually follow through with resolutions? 2: Favorite work out move, and what does it target? 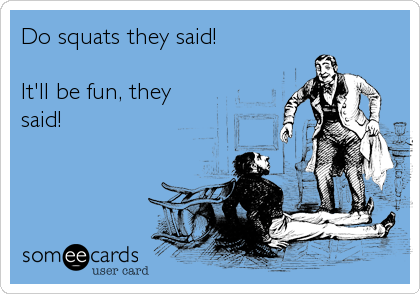 Squats. Although it mainly targets your glutes, it’s definitely a full-body workout and will get your heart rate up! 3: Least favorite workout? Any sort of cross-training. It is so boring to me. 5: Describe your “perfect” breakfast? My favorite is oatmeal with PB stirred in, sliced banana, and a drizzle of honey. Along with 2 hardboiled eggs. 7: Best advice for a beginner? Be patient. You won’t see results immediately, but just keep at it. Even when you’re so sore in the beginning, it goes away and the next time you workout you will feel stronger. 8: Favorite one liner for motivation? It never gets easier, you just get better. 9: Best place to by workout clothes? Modell’s, Macy’s sale rack, TJ Maxx, and if I want to splurge-lululemon. 10: Favorite workout/running shoes? Currently, Saucony Mirage. I used to be a Mizuno girl and ran in the Wave Inspires. 11: What is your ratio of clean vs indulgence? Probably 70% clean, 30% indulge. I could be better but right now I don’t really feel the need to be really strict. I want to lower my body fat and all that, but I’m also at a place where I have accepted my body. I love working out, and eat healthy for the most part, so if the results come, they come..and of course I’ll be happy! 12: Best way to feel confident? In the gym: getting a PR (same in a race) and knowing how hard you worked to build up to that. Other: buying a top or pants that makes you feel good! 13: Number 1 tip for beating cravings? Find healthy alternatives. 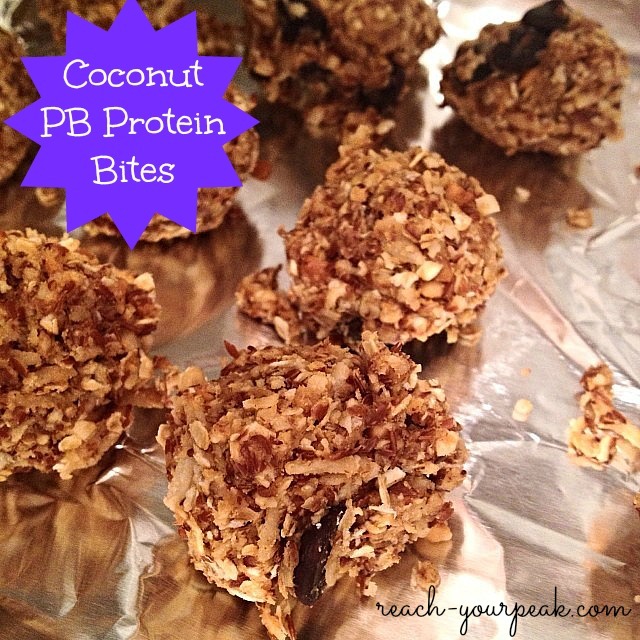 If I want a sweet treat, recently, I’ve been having these protein bites instead. I also like Larabars. If you like more salty, try making kale chips! I wouldn’t mind working out in this gym. 15: What is your “power” song, the song that keeps you going? Hm…there are so many! Probably “One” by Swedish House Mafia. I have powered up hills many times listening to that song. 16: Favorite fitblogger? I definitely can’t pick one, but I will list a few of the bloggers I love reading: Cori-Olive To Run, Theodora-Losing Weight In The City, Alyssa-See This Girl Run, Gia-RunGiaRun, Sarah-Sweet Miles, Sarah-SarahFit…and really so many more. I think you can see who I follow if you go to my BlogLovin? 17: What do you wear to workout? In the gym: shorts (spandex or normal), or capris, and a tight fitting top. Running: spandex shorts, capris or pants. Always a dri-fit top. 19: What is your fitness goal? In the gym: Upping the amount I can squat, and doing 10 unassisted pullups. Running: One day qualifying for Boston, but first I’ll take a sub-2 hour half marathon. 20: What is your next fitness challenge? Right now I’m just working on getting stronger, but my next goal will be a sub-2 hour half marathon. I’m looking into spring races. 1: What is your favorite snack? 2: Favorite work out move, and what does it target? 4: When do you feel your best? 5: Describe your “perfect” breakfast? 7: Best advice for a beginner? 8: Favorite one liner for motivation? 9: Best place to by workout clothes? 11: What is your ratio of clean vs indulgence? 12: Best way to feel confident? 13: Number 1 tip for beating cravings? 14: Describe your “dream” day of fitness? 15: What is your “power” song, the song that keeps you going? 17: What do you wear to workout? 18: What is your biggest accomplishment? 19: What is your fitness goal? 20: What is your next fitness challenge? So yesterday it was around 25 degrees here, but felt like even less with windchill. I’ve ran in the cold before, begrudgingly, and after a snow storm, but it ended up not being bad at all! I know you all will get after it no matter what, but in case you need some extra inspiration, this is a great quote! 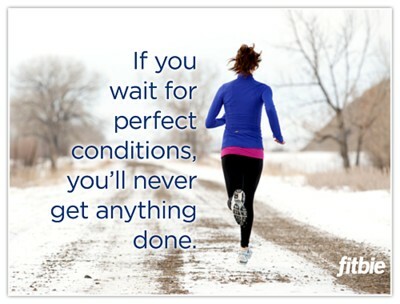 No matter if it’s summer or winter, you will never have perfect conditions. 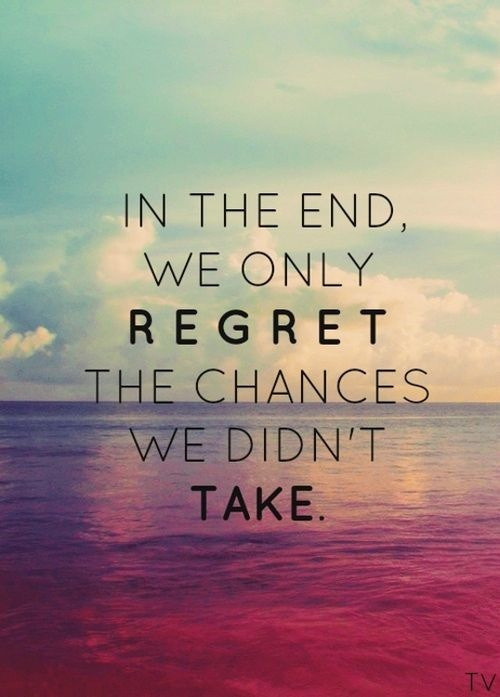 Just gear up and do it! The key to winter running is the right layers and gear, once you have that, I promise you won’t even feel the cold! Do you prefer winter running or summer running? I prefer the cold…I sweat way too much in the summer! 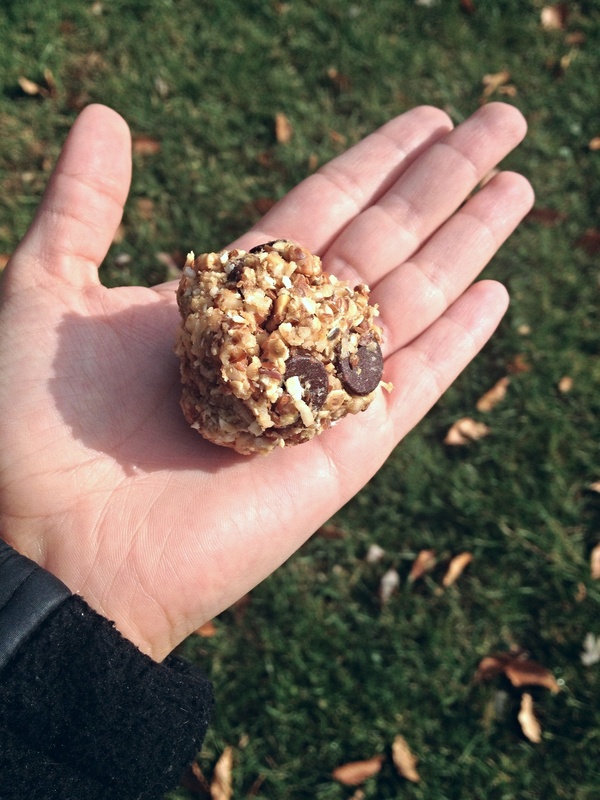 My friend told me to try this recipe for “protein bites,” so I finally did…and it certainly did not disappoint! If you’re looking for something all-natural, and just as tasty as a granola bar or sweet treat, then you need to try this. 1 tsp. vanilla (oops I just realized I forgot to use this…oh well, it’s still so good! Stir all the ingredients together in a large bowl. I used my hands to make sure everything was mixed together. My friend suggested putting them in ziploc bags in the freezer so they keep their shape, and you can save them longer. Seriously, they are delicious. I have a sweet tooth problem, so I always look for healthy and all-natural options for when I’m craving a cookie or something. Obviously you can’t eat the entire batch just because it’s all-natural. Moderation is still key. With the amounts listed above, I made 15 protein balls, and according to my calculations (and with the ingredients I used), it’s about 100 calories each. I also accidentally got sweetened coconut flakes, so that’s probably extra calories. Let me know if you decide to try them & what you think! Do you have a “go-to” for when your sweet tooth strikes?